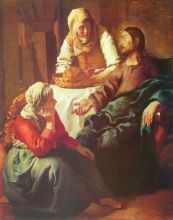 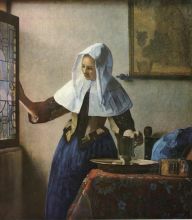 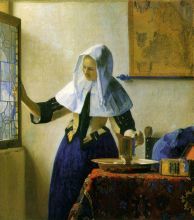 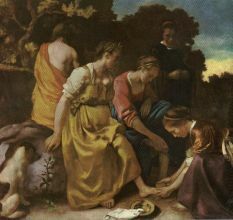 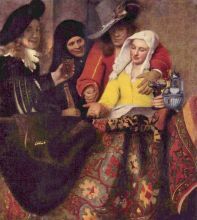 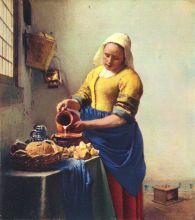 Johannes Vermeer or Jan Vermeer (baptized October 31, 1632, died December 15, 1675) was a Dutch painter who specialized in domestic interior scenes of ordinary life. 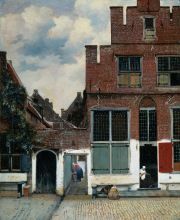 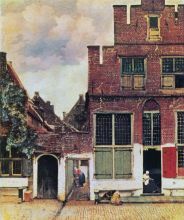 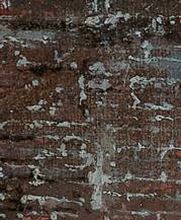 His entire life was spent in the town of Delft. 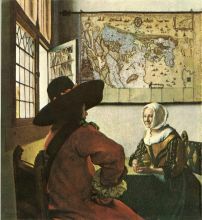 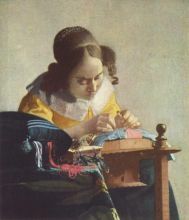 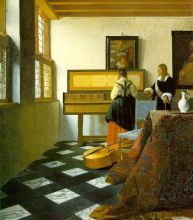 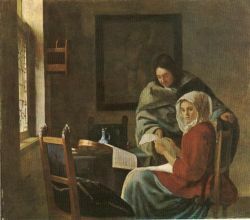 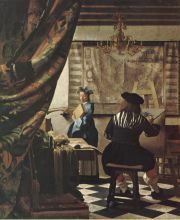 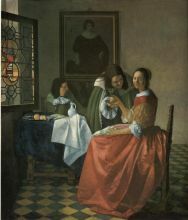 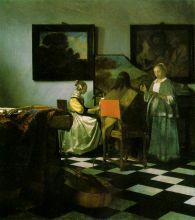 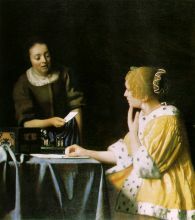 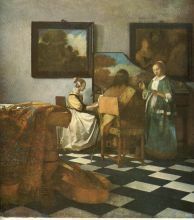 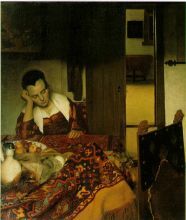 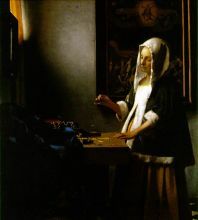 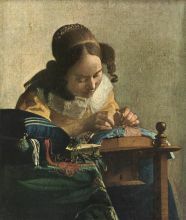 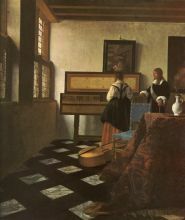 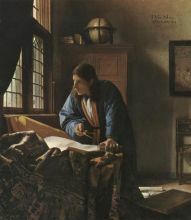 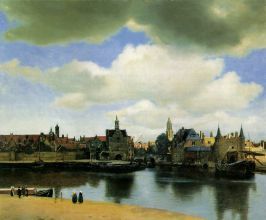 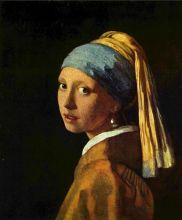 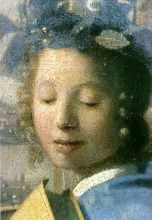 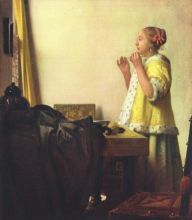 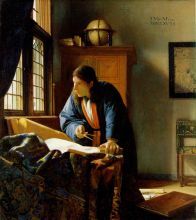 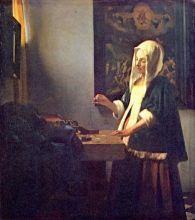 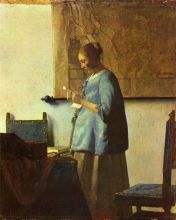 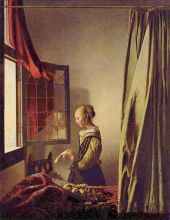 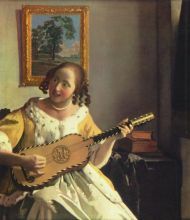 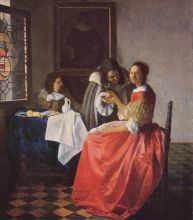 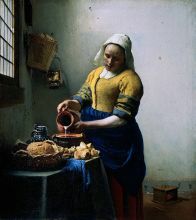 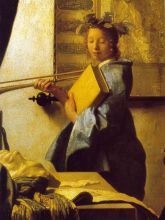 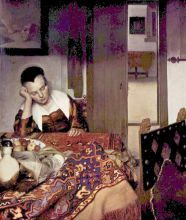 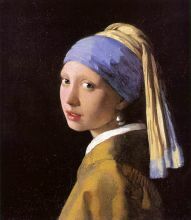 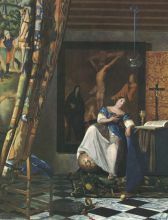 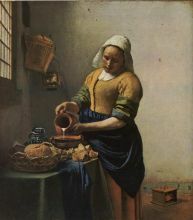 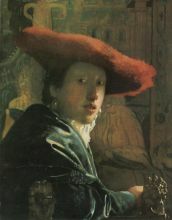 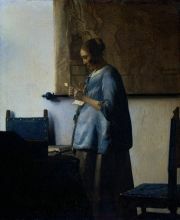 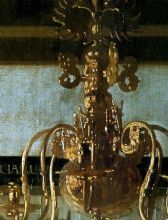 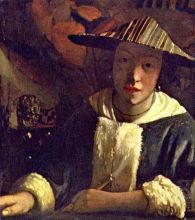 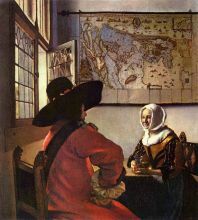 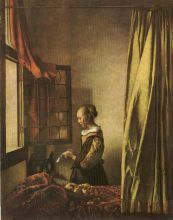 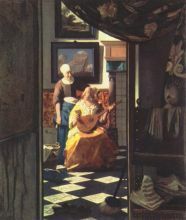 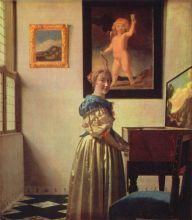 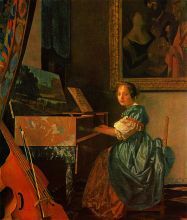 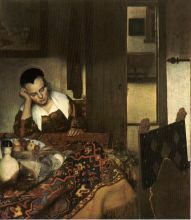 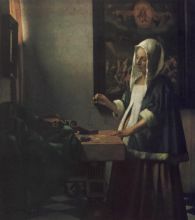 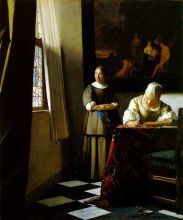 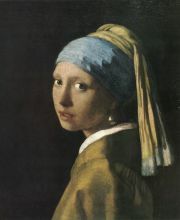 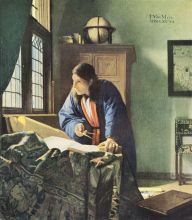 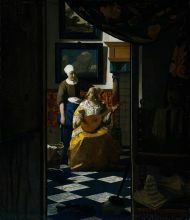 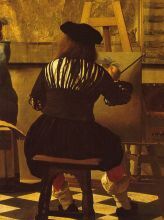 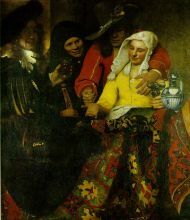 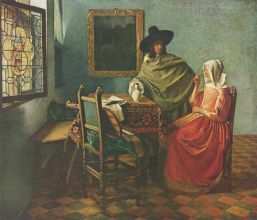 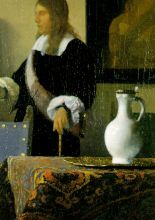 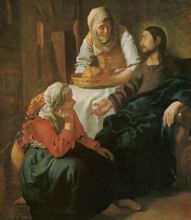 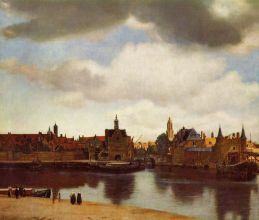 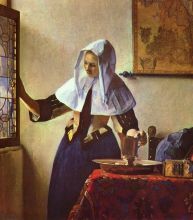 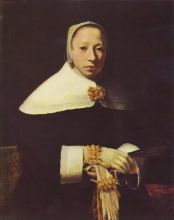 Vermeer was a moderately successful provincial painter in his lifetime. 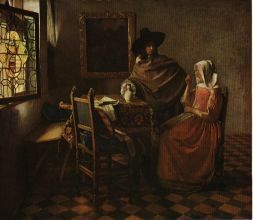 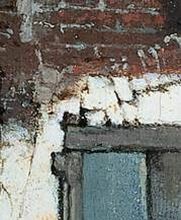 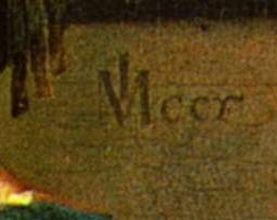 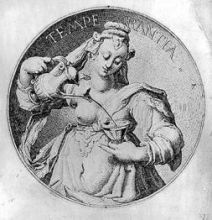 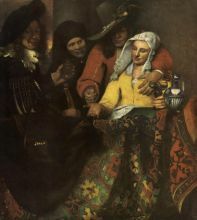 He seems to have never been particularly wealthy, perhaps due to the fact that he produced relatively few paintings, leaving his wife and eleven children in debt at his death.